This guide will help you with basic APA and MLA citations. There are links to additional sites, but remember, the handbooks are always the definitive answer! 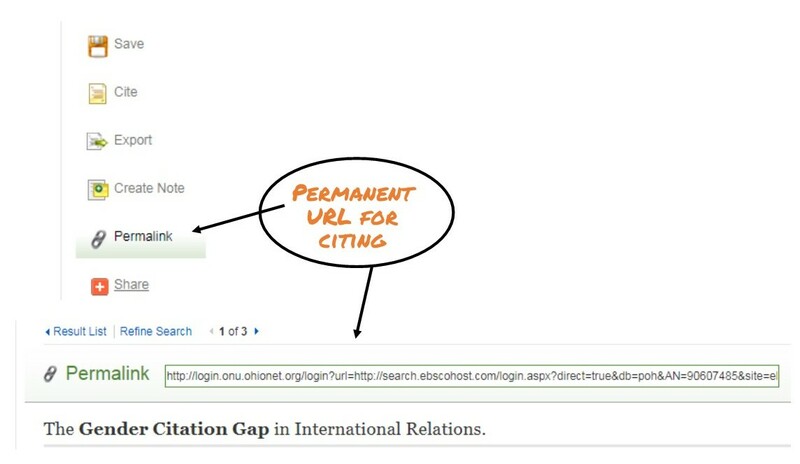 The information that you need to correctly generate a citation, including the name of the database, should all be available on the detailed results page. If it is missing, you may need to do some sleuthing to find what you need. The librarians are happy to help with that! If there is no DOI, you will need to use the URL for the article. To get a reliable URL, use the permalink option in the right column. This will generate a permanent URL that will show beneath the search boxes. The results page will look very similar to SEARCH, but the name of the database will be above the search box. Finding citation information for articles that you found using another source, like Google Scholar, may be more complicated. 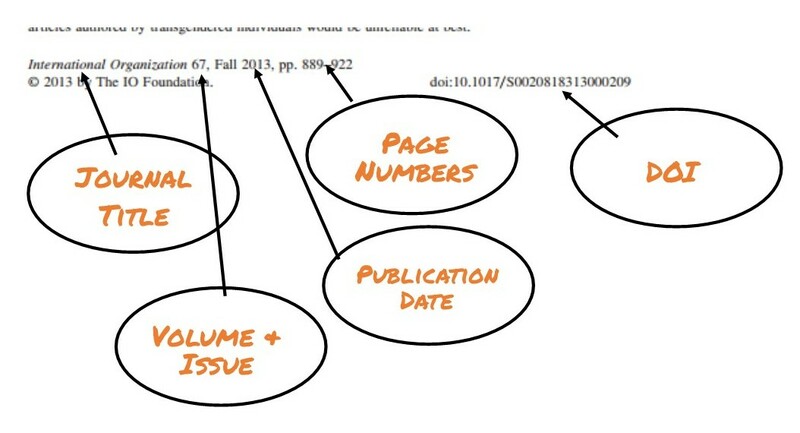 It's important to remember that even if you found a scholarly article outside of the database, it should still be cited as an article, not a web page. The title of the article and author(s) should be easy to find at the top of the page. Other information may be more challenging, as there is no consistent place to find it. It will most likely be found at the top or bottom of the page. 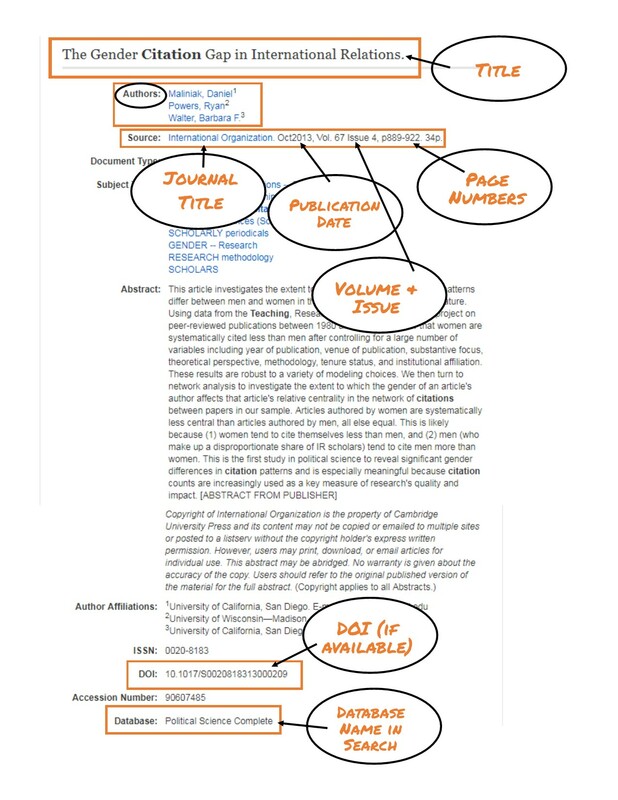 Information like volume and issue may not be on the pages themselves, but you should be able to find it on the journals website. If you're not sure, a librarian can help. Plug the information from your source into this citation generator and it will create a citation for you.